Green, J. Paul et al. "School music". The Canadian Encyclopedia, 16 December 2013, Historica Canada. https://www.thecanadianencyclopedia.ca/en/article/school-music-emc. Accessed 21 April 2019. IntroductionMusic instruction began to appear in some form or other in many Canadian schools with the emergence of a formal system of education in the mid-19th century. Music instruction began to appear in some form or other in many Canadian schools with the emergence of a formal system of education in the mid-19th century. Its importance as a subject in the Canadian curriculum was slight, however, until the 1930s, and the main advances were made in the period following World War II. The value ascribed to music in education has varied as widely as it has in society, increasing in proportion to the degree of sophistication and urbanization in the community and fluctuating according to the socio-economic level and the cultural heritage of its citizens. The fact that the British North America Act made education a provincial responsibility has had a profound influence on the progress of music education. The various provincial and municipal authorities have solved their educational problems in diverse ways, selecting the solutions which they deemed best according to existing circumstances. This delegating of responsibility to the provinces has all the advantages provided by geographical proximity, but on a national scale it has resulted in a lamentable lack of uniformity of standards, especially in the field of music education. Each province has evolved its own bureaucracy, which often bears little resemblance to that of its neighbours and which sometimes pays scant attention to music and the other arts. Across Canada wide differences continued to exist in 1990, particularly in budgeting, curricula, scheduling, and the training and certification of teachers, not to mention the kinds of activities and the quality of musical experience available to children. Discrepancies have abounded even between one school and another, not only in a single province but also within the same school board, even though national organizations such as the CMEA and CUMS have attempted to set minimal standards. Serious unanswered questions continued to preoccupy the collective mind of the Canadian school music profession. Uncertainty and differences of opinion exist, not only as to curricular problems such as choral versus instrumental instruction or what constitutes 'good' or 'bad' music, but also in professional concerns: the length and the kind of training required of music teachers-in-training, the function and relative importance of the classroom and the specialist music teacher, the 'professional musician' who is becoming a teacher and the professional teacher who is learning about music, the distinction between mere entertainment and the acquisition of skills and knowledge, the integration and balance of performance and other activities, the pros and cons of the competition festival, and, more recently, the importance of creative approaches in the nurturing of musicianship in children. Any evaluation of music education in the schools is thus made increasingly difficult because of vague and shifting criteria. By far the most pressing need of the profession at the threshold of the 1990s was the need of a sound philosophical foundation for the teaching of music as an essential part of the school curriculum, a justification which is unique to music but valid in today's educational system and acceptable to the general public and educational authorities alike. Spurious justifications (contributions to physical health, social skills, citizenship training, etc) offered in the past have tended to cause confusion in the minds of teachers because many of these justifications lack educational significance or uniqueness to the nature of music. Even in the 1980s the distinctive role of music in aesthetic education - one of improving perception and encouraging sensitivity to the arts - seemed to be understood by few music educators and even fewer administrators and parents. A long view of the situation reveals, however, that the problems and uncertainties outlined above have brought about only partial impairment of the progress of music education in Canada. Both experience and research have shown that when a dedicated musician-teacher works diligently and enthusiastically to improve music in his or her own school, the results can be almost incredible. The interest generated among the participating students by a gifted teacher spreads first to the parents and then to the school administrators and the general community. Neighbouring schools often are spurred into launching similar programs in music. In point of fact many communities can testify to the experience of being 'put on the map' culturally by such means. What must be acknowledged in the face of such evidence is that, with a few notable exceptions, the impetus for expanding and improving the quality of music education has come from dedicated teachers rather than from the established educational hierarchy. Nearly every province seems to have had imaginative, visionary men and women who, grasping all available opportunities, have taken the lead in developing music in their schools. Such outstanding individuals and their supporters, many quite unknown beyond their own provinces or local districts, have contributed much more than they were aware of, and Canada is deeply in their debt. See also Children and music; Choir schools; Competition festivals; Composition for ensemble teaching; John Adaskin Project; Music education research; School music broadcasts; Solmization; Songbooks, school; Summer camps and schools; Teaching methods; Theory textbooks; Universities. The resources of early settlements were devoted to stressing the basic subjects in education to the exclusion of music. The idea that music was not part of the core curriculum, which was understandable enough in a pioneer society, has persisted. The term 'frill' in reference to school music has been pervasive; indeed this attitude has been difficult to dispel and has been detrimental to the advancement of music education in general, although, as we have noted, school authorities readily make room for music activity when good teachers are available. Initial developments in the older regions of Canada invariably reflected the musical heritage of the settlers, missionaries, and military personnel. It was French music that was taught in Quebec by Mother Marie de St-Joseph after 1639 and by Martin Boutet after 1651. (These two were the first known to have taught music in Canadian schools.) 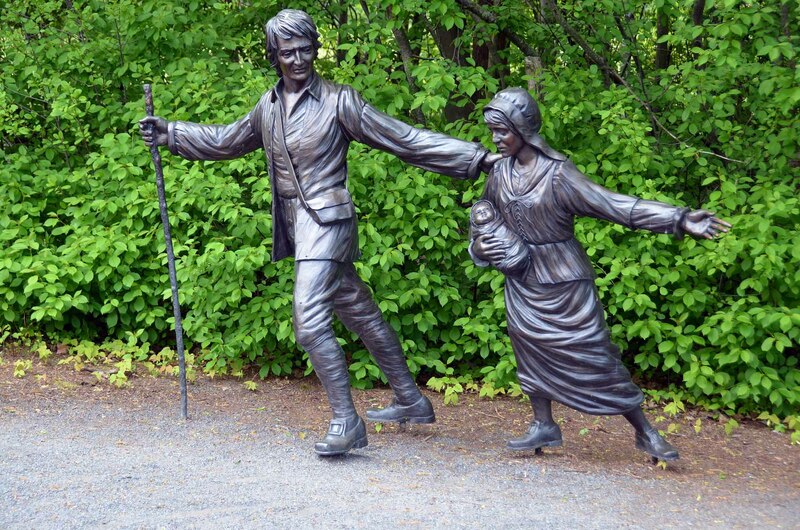 Hymns, simple songs, and 'national' airs were prevalent in those parts of Canada which were settled by English, Scottish, and Irish immigrants and, of course, the Loyalists from New England. Much of the early instruction and training in music was provided through the singing school movement, which had flourished in the early American colonies. Protestant children were given musical opportunities in their Sunday schools. But it was German music that was taught at the Clinton Township school in Niagara Peninsula during the opening decades of the 19th century, as witness the music notebooks preserved at the Jordan, Ont, Museum of the Twenty (see Manuscript books). The first evidence of school music was frequently little more than some casual singing. When music instruction did occur in urban elementary schools it was usually taught by people outside the school system - private music teachers, church choir directors, and bandmasters. After school enrolments increased, these special instructors often became music supervisors and, thereafter, elementary school teachers were expected to provide the music instruction for their own classes. The instructional program (if it could be described as such) consisted of rote singing, a modicum of 'voice culture,' and a study of the rudiments of music. Typically, supervisors won support for school music by mounting massed children's choirs for special occasions such as Royal Visits or Empire Day celebrations. Toward the end of the 19th century there was a concerted effort to develop the skills of reading music, mainly under the banner of the Tonic Sol-fa methodology which had been successfully employed by John Curwen in Great Britain. Leading up to World War I, Canadian schools relied heavily upon British teachers, many of whom had received Tonic Sol-fa training in the old country. The introduction of music in rural schools followed later in a pattern somewhat similar to that of the urban centres, but standards were rarely as high. Despite their lack of training, classroom teachers in elementary schools were expected to provide a semblance of music instruction. Few were capable and those who did teach the subject did so because they happened to possess some rudimentary skills or love of music. Too often music served as a diversion or break from the so-called academic subjects, and the annual Christmas concert loomed large in the overall scheme of things. By the end of the 19th century, however, training for school teachers was expanded to include basic musical skills and some form of licensing or certification in the subject. Moreover, several provinces began to outline courses of study. While vocal music eventually became an obligatory part of elementary school education, music in the high schools was generally on an extra-curricular basis. Even after music was introduced as a subject in grade nine, extra-curricular activities (vocal and instrumental) were undertaken to supplement the often insufficient time scheduled during school hours. It was a long time, however, before music gained the status of an accredited subject at the secondary school level. Music instruction changed gradually in the two decades following World War I. These changes were propelled by the child development movement in the USA, where school administrators and teachers embraced the principles of progressive education. Its proponents advocated a student-centred approach, focusing on motivation and individual growth. Consequently there was a strong commitment to learning rather than teaching. These philosophical ideals had an impact on many aspects of Canadian education. In school music, Tonic Sol-fa gave way to the song method. This meant that songs were introduced by rote and the quality of the repertoire became increasingly important as a means of placing a higher priority on appreciation. Canadian music educators were attracted to song series published in the USA; a number of US companies produced Canadian editions which often contained (with the exception of two or three Canadian patriotic songs) the same material found in the US version. As a general rule the skills of music reading received less attention in the period between the wars. Instructional programs expanded as technological advances in the gramophone and radio contributed to improved methods and materials. Phonograph companies prepared music appreciation units consisting of recordings, teacher guides, and student workbooks. Radio broadcasts were skillfully devised as supplements to classroom work, offering imaginative presentations which were as beneficial to teachers as to their students. Some of the first radio programs were those directed by Walter Damrosch in New York City, but by 1943 the CBC was producing programs which served the special needs of Canadian education. Orchestras in several large cities contributed immeasurably to the development of music appreciation by presenting 'live' concerts designed specifically for student audiences. The competition festival movement was a powerful incentive for school musicians. The annual festival became the venue for displaying the achievements of students; it also served as a means of recognizing the prowess of outstanding teachers. Although undue emphasis on competition has been a controversial issue, many teachers and supervisors have continued to regard festival participation as a vital outlet for their performing groups. School music instruction has been supplemented by organizations outside the public school system. The Canadian Bureau for the Advancement of Music established group or class piano programs in schools commencing in the 1920s across Canada. Although the bureau administered its projects through local school boards, the instruction was given by private teachers under the supervision of the CBAM. Classes were held within the schools but were independent of the regular classroom work in music. The introduction of the junior high school represents a major innovation in Canadian education. Its curriculum was designed to stimulate student interest through active learning and exploratory approaches, including the use of individual projects. Thus it was hoped that more students would continue their education to the end of high school. In some provinces the adoption of a three-level structure (elementary, junior high, and senior high) helped to break down the rigidity of the academic curriculum by recognizing the validity of learning activities as an alternative to formal instruction. Once educators sanctioned such activities in junior high schools, there was less resistance to the approval of music courses in senior high schools. But the main stimulus underlying the acceptance of music as a legitimate subject was the growth and development of extra-curricular activities such as glee clubs, orchestras, and operetta productions. Membership in school orchestras was restricted (for practical purposes) to those who had received private tuition outside the school system or to those who had received some training in community ensembles or Salvation Army bands. Furthermore, it should be acknowledged that orchestras and choirs were supported by school principals initially because of their utilitarian values; performances in assembly programs, Christmas concerts, graduation exercises, and civic ceremonies helped to promote good public relations. Long before instrumental music was available in local schools, provincial or city-wide orchestras and bands were established to provide performing experience. The sponsors of such ensembles were usually community groups, service clubs or, in some cases, individuals who formed their own independent organizations. In some situations school credit for private lessons existed before music was available as an elective in the high school curriculum. Academic credit for music study outside the school was approved as a result of requests from private teacher associations and conservatories. In most provinces students were required successfully to complete examinations (both theoretical and practical) conducted by accredited examination boards - the Associated Board of the Royal Schools of Music, Trinity College (London), TCM (RCMT), among others - in order to receive credit as a high school option. Eventually, vocal music courses were introduced in some parts of the country as a legitimate high school subject. Typically, it was a general course consisting of singing, music appreciation, and some historical and/or theoretical content. Although there were isolated signs of progress in the late 1930s, high school music courses were not universally accepted until after World War II. 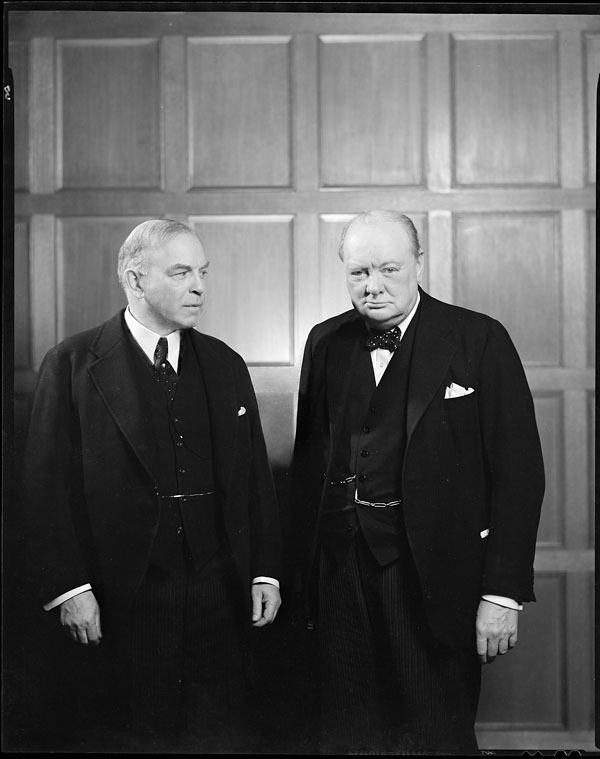 A new spirit of optimism permeated Canadian life following World War II and eventually this led to improvements in education and the arts. The Massey Commission revealed the need for an institutional framework that could serve national development in the arts, letters, and sciences. Subsequently, the founding of the Canada Council, the expanded role of the CBC, and the growth of higher education provided a foundation of support and an environment in which a diversification of opportunities was fostered through organizations such as the COC, the NYO, JMC (YMC), the Banff SFA, the Canadian Music Centre, national competition festivals, provincial arts councils, regional arts centres, summer music camps, and a proliferation of independent music schools and cultural agencies. It should be recognized that the celebration of Canada's centennial year contributed a great deal to the development of music and the arts. Given this groundswell of cultural activity, it is not surprising that music education flourished, especially in secondary schools and universities. The majority of teachers in elementary schools continued to use some form or version of the song method. The curriculum, therefore, was determined to a large extent by the textbooks (or song series) approved by the various provincial governments. Several provinces appointed directors of music to deal with the complex demands of the postwar period. They turned to summer schools and in-service training as short-term solutions for spiralling enrolments and teacher shortages. Changes in instructional content or methodology were often initiated by those who taught music at teacher training institutions or by music supervisors in the employ of large urban school boards. Teachers' professional groups helped to develop resource materials and gave leadership in organizing special sessions at their annual conferences; they frequently engaged leading educators from the USA. There was a proliferation of workshops, both provincial and regional, for classroom teachers whose generalist training in normal schools (or teachers' colleges) proved to be inadequate. While some teachers were trying to cope with the increasing demands of eclectic programs, others were confronted with new approaches in the integration of the arts, not to mention the adjustments necessitated by open-area classrooms. Canadian universities were slow in developing graduate programs. This accelerated the flow of music educators to the USA where they could obtain advanced degrees in summer school sessions. There, in the 1960s, they encountered reforms emanating from the Yale Seminar and the Tanglewood Symposium, ideas which formed the philosophical basis for aesthetic education and the goals of comprehensive musicianship. Thus, elements of the Manhattansville Music Curriculum Project and other curricular innovations found their way into Canadian schools. Concurrently, as universities in Canada assumed greater responsibility for teacher education, specialized courses in Orff and Kodály were offered as alternatives to the song method. These new approaches affirmed the need for Canadian folk songs. The repertoire was later extended to include popular music and world musics. Music programs generally became more comprehensive as new textbooks encompassed a widening range of activities such as singing, listening, rhythmic movement, the use of classroom instruments, theoretical work, and assignments of a creative nature. The complexity of instructional programs in the 1980s can be attributed partly to the needs of the multicultural population in Montreal, Toronto, Vancouver and other large cities. This has continued to be a matter of serious concern for teachers and administrators. The 1991 CMEA conference held in Vancouver, for example, was devoted almost exclusively to a multicultural theme exploring musics of the Pacific rim. Beginning in the late 1960s, several ministries of education eliminated their provincial music supervisors and reduced the number of music consultants. Whereas ministry officials generated most of the curriculum documents in the past, more recently there has been a tendency to use curriculum committees comprised of teachers. In many provinces the burden of writing course outlines has been shifted to local boards. A number of large city boards have discontinued their director-of-music positions and have dismantled their centralized music departments. In some cases music supervisors have been replaced by arts coordinators or curriculum resource personnel. Typically, such changes have been implemented as part of administrative restructuring in times of financial restraint. Music instruction in secondary schools grew at an unprecedented rate in the postwar period, especially in the field of instrumental music. The strong pre-war resistance to non-academic subjects declined in a milieu which was preoccupied with national reconstruction and more open to educational change. From a practical standpoint, the initiatives in professional training taken by the University of Toronto in 1946 gave added impetus to the growth of instrumental music as an optional subject in secondary schools. Later, when new buildings were erected to accommodate a burgeoning postwar population, school boards almost automatically furnished special music rooms and equipment as part of their capital expenditures. This expansion of instrumental music would have been more immediate in other provinces if there had been an adequate supply of qualified teachers. Since most universities had not anticipated the need for specialized training, many provinces had to import music teachers or certify ex-service bandsmen and other musicians in order to meet the demand for instrumental specialists. The administrative structure and instructional patterns for instrumental music varied from province to province. This diversity occurred because each province had its own educational traditions and historical relationships with regional musical organizations. Ontario, for example, first established instrumental music at the secondary school level whereas programs in some of the western provinces commenced at the junior high school level and functioned as performing ensembles rather than as a classroom subject with formal instruction. Instrumental music programs were aided by an expansion of the music festival movement. Kiwanis and other service clubs not only established new competitions but also rejuvenated a number of older ones. Beginning in the late 1960s, an expanding range of performance opportunities has reinforced the work in individual schools: provincial and city-wide youth orchestras, bands, and choirs; summer camps; and special courses organized by post-secondary institutions and community arts organizations. A growing interest in stage bands was fuelled by the Canadian Stage Band Festival and in the 1980s by its successor MusicFest Canada, an organization which has prospered mightily from its corporate sponsors. By 1990, MusicFest had broadened its realm of activity to include concert bands and choral groups, especially jazz or swing choirs. The creative approaches espoused by the composer R. Murray Schafer have been introduced in some schools. Teachers have also ventured into non-Western or 'world musics,' integrated arts courses, jazz education, popular music, and computer applications in music. It is not uncommon, therefore, to find stage bands, jazz choirs, guitar classes, ukulele programs, steel drum bands, and activities employing Musical Instrument Digital Interface (MIDI) equipment, all under the umbrella of contemporary music education. Special schools for the performing arts within the jurisdiction of public education were established in the larger cities, although this idea has not received the unanimous support of music educators themselves. Nor are teachers united in their goals and objectives: while some are performance-oriented, others embrace the principles of comprehensive musicianship, an approach which advocates diverse musical experiences through performing, listening, and creating. References to the teaching of music in Nova Scotia schools can be found as early as 1819. However, these references are sporadic throughout the next several decades until the appointment of Jacob B. Norton as music teacher for the Halifax schools in 1867. Norton's work was successful and attracted considerable attention; with the help of a colleague in Boston he wrote a text, The Dominion Songster, for use in the schools. However, when the board found itself in financial difficulties in the early 1880s the position of music teacher was abolished. It was not reinstituted until 1919 with the appointment of Bessie MacNeill. Vocal instruction was given to students at the Normal School (later the Nova Scotia Teachers' College) when it opened in Truro in 1855. So great was the musical interest of the first principal, Dr Forrester, that he paid from personal funds a portion of the salary of the part-time music instructor. Another institution where music was an important subject was the Maritime School for the Blind founded in Halifax in 1871. A large percentage of the graduates of this school have pursued careers in music, primarily as teachers and piano tuners. The Tonic Sol-fa system was introduced throughout the Maritimes in the 1880s and 1890s by Rev James Anderson; he taught at various sessions of the Summer School of Science held annually in a different Maritime centre each summer and also at Educational Institutes. One of his students, Ada Ryan of Halifax, became the Eastern Canada representative for the Tonic Sol-fa College of London, and wrote a textbook entitled School Day Melodies. Early sporadic references to the teaching of music in New Brunswick schools can be found but it was not until the first decade of the 20th century that this subject received much attention. The first full-time music instructor in the province was Mary McCarthy, appointed in Moncton in 1905. Similar appointments were made in Fredericton in 1907 (Frank Harrison) and in Saint John in the same decade (Catherine Robinson). Frank Harrison continued his work in Fredericton until after World War II. In the 1920s, Alice May Harrison was appointed to the Moncton schools and James Browne to the Saint John schools. These three teachers worked together to develop a curriculum for the schools of the province and introduced many new ideas, including local radio shows featuring school children and school music festivals. Music at the provincial normal school in Fredericton was under the direction of Edward Cadwallader, a leader in the city's musical life for many years. He was succeeded by W.J. Smith, another organist from Britain. In Prince Edward Island as in many other areas of the country early efforts in formalized music instruction were associated with the church. During the 1860s Father Belcourt established a school in the Rustico parish house and secured the services of Israel J.D. Landry to teach music. Music was taught at the schools established by the Sisters of the Congregation of Notre-Dame and also at the Prince of Wales Normal school in Charlottetown. Harry Watts taught at a school run by the Methodists and also at Prince Street School. Lillian MacKenzie later served as music teacher at this school for many years. Music programs began to develop in other areas of Nova Scotia in the period between the wars. Harry Wellard taught in the Truro schools in the 1920s and also at the normal school. The work of Catherine Allison who taught in Yarmouth and then in Sydney for a number of years had a great influence on music developments in the province. Subsequently she developed a strong teacher training program in music at the provincial normal school. Radio broadcasts for schools were pioneered in the late 1920s by Henry Munro, superintendent of education for Nova Scotia. Early programs featured several performing groups, including the Wolfville School Orchestra under the direction of Basil C. Silver. Beginning in the 1940s, music programs by Irene McQuillan were heard throughout the Maritimes. She served as assistant supervisor of music under George Little, who was appointed to the supervisory position in 1942; two years later when Little departed for Montreal she was appointed supervisor and served in this capacity until 1967. Festivals, both competition and non-competition, were held in the region in the 1920s and 1930s. By the end of World War II, provincial competition festivals had been organized in all three provinces. A special project of small local festivals, 'Let New Brunswick Sing,' run by David Thomson and sponsored by the Kiwanis Club, led to the appointment of Thomson as New Brunswick's first provincial supervisor of music in 1949. Similar appointments were not made in the other provinces for another two decades: Peter Hinkley succeeded by Paul Murray in Nova Scotia, and Christopher Gledhill succeeded by William Bartlett in Prince Edward Island. Thomson was succeeded by Gloria Richard in New Brunswick, and when the provincial department of education divided into two sections along linguistic lines, Gloria Richard remained as music consultant for the francophone division and Douglas Hodgkinson was appointed to the anglophone sector. His successor, Gervais Warren, was appointed as fine arts consultant. Various methodologies influenced the development of elementary school music programs. The work of Catherine Allison and Vernon Ellis at the Nova Scotia Teachers College and that of R.C. Bayley and Janis Kalnins at the New Brunswick provincial normal school continued a strong choral emphasis. Music in the French-speaking Acadian schools of the region developed extensively in the 1950s and 1960s; much of this was stimulated by the Acadian nationalism celebrations. Curriculum developments under the leadership of French-speaking music consultant Gloria Richard and Florin Despres from the University of Moncton have shown the influence of the Martenot method. One of the first Orff programs in the region was developed by Edna Knock in Oromocto, NB. The influence of the Kodály method has been extensive, particularly in Nova Scotia where special summer workshops for teachers initiated by Paul Murray in the late 1960s resulted in the development of a Kodály-based curriculum for the elementary level which has subseqently been expanded and revised. Under Murray's leadership detailed curriculum guides in music were developed for all levels, including a guide for French-speaking students and one for special education classes. With the exception of the Nova Scotia Teachers' College in Truro, teacher education in the region is in the hands of the universities. Music education programs are offered at several universities, including Mount Allison, Acadia, Dalhousie, and the University of Prince Edward Island. Training in music for classroom teachers is also given at the Nova Scotia Teachers' College and at the University of New Brunswick. In addition, various summer workshop programs have been offered for both in-service and pre-service teachers and have played an important role in the development and expansion of music education in the region. Although performing organizations were formed in many high schools in the region in the period between the wars, it was not until the late 1960s that credit courses were developed for this level. It was also not until this era that instrumental programs began to emerge on a large scale. Leaders in these developments included Paul Murray in Saint John, Wilf Harvey in Middleton, Kenneth Elloway in Dartmouth, William Conkey and Gabriel Chiasson in Summerside, and Ronald MacKay in Truro. Maritime conferences on school music held in 1960 at Mount Allison University and in 1966 at the Confederation Centre in Charlottetown stimulated some of this development. High school credit programs in music were initiated and taught by Tom Morrison in Fredericton and Ernest W. Freeborn in Moncton; similar courses soon developed in other areas as well. The appointment of Chalmers Doane as music supervisor for Halifax City Schools marked the beginning of a great expansion in all aspects of schoool music in that city, particularly in the instrumental area. Both band and orchestral instruments were taught as part of the school program and many fine instrumental teachers, including Ninette Babineau, were brought on staff during this period. A ukulele program was developed by Doane which emphasized the development of music skills; it became very popular throughout the province and in other areas of the country as well. A strong choral emphasis continued and the development of the new Kodály-based elementary program in the province was strongly supported by the Halifax board under the leadership of Kaye Pottie and in Halifax County by Frances Tyrrell. This program later expanded throughout the province. Until the late 1960s the educational system in Quebec was divided along religious lines; this resulted in Catholic schools for most of the French-speaking children and Protestant schools for most of the English-speaking. Consequently, developments in education, including those in music, evolved along entirely different paths. Teacher training was also separate for Catholics and Protestants in the province. A Protestant normal school was established at McGill University in 1857 and remained the only one for English-speaking Protestants. Unlike the Catholic normal schools, it was open to both men and women. (Until 1937, Catholic girls studied at convent schools and then took an examination from the Central Board of Examiners in order to receive certification to teach.) Many of the religious orders which established themselves in Quebec offered music instruction in convent schools, classical colleges, and normal schools. Both Catholic and Protestant schools often hired military band personnel and local musicians to teach in schools on a part-time basis. Music was given some attention at the Catholic normal schools which were established in the province commencing in 1857. Teachers at these institutions included R.-O Pelletier at École normale Jacques-Cartier in Montreal and Ernest Gagnon at École normale Laval in Quebec City. Music was introduced in the public elementary schools of the Catholic School Commission of Montreal in 1873 but attention to this subject seems to have been minimal. In 1892 the Catholic Commission appointed the Montreal musician Guillaume Couture as director of solfège for the elementary schools but he remained in this position for only three years. No replacement was named until 1937, when the composer Claude Champagne was appointed to the post. Champagne prepared manuals for this program and offered instruction in solfège for the teachers who were in turn to work with the students. He remained in this post until his appointment to the CMM in 1942. His successors included Raoul Paquet and Alfred Mignault. The work of many of the religious orders, including that of the Sisters of the Congregation of Notre-Dame and the Sisters of the Holy Names of Jesus and Mary, provided music opportunities for young French-speaking Catholics in the province, including music instruction in some of the schools. Some orders established their own music schools, such as the École supérieure de musique d'Outremont opened by the Sisters of the Holy Names of Jesus and Mary in 1932 (École Vincent-d'Indy). As artistic director of the MSO, Wilfrid Pelletier inaugurated in 1938 a series of concerts for French-speaking young people entitled Matinées symphoniques pour la jeunesse. In 1851 the commissioners of the Protestant School Board of Montreal employed a Mr J. Follenus as music master for the High School of Montreal. There is no evidence to indicate that he taught the younger grades as well but the courses of study which appeared in 1870 and 1885 listed a course for primary and intermediate students. In 1886 the Protestant school board hired J.J. Dawson from Britain to give a course in Tonic Sol-fa to the teachers. Dawson was hired for both the high school and the Protestant normal school; he was subsequently replaced by W.H. Smith, also a Tonic Sol-fa teacher. This marked the beginning of a long-standing commitment to Tonic Sol-fa by the Protestant board; however, it was not the only system in use, for references were made to the dual notation course. A regulation requiring all teachers employed by the Montreal Protestant board to teach music in their classes remained in effect for many years. Guillaume Couture and later Duncan McKenzie taught at the High Schools of Montreal. In 1919 George Stanton was appointed director of music for the schools of the Montreal Protestant board. A strong program began to develop under his leadership, including a successful high school music program by D.M. Herbert at Baron Byng High School. Orchestral concerts for students and music appreciation classes including the use of radio programs were introduced. Stanton was succeeded by Irvin Cooper, who furthered the cause of music in the schools in many ways, including his work with the boy's changing voice. One of his major projects was the International Festival of School Music held in Montreal in 1947. Instrumental instruction and credit courses in high school music developed in the schools during this period. Cooper was succeeded by Gifford Mitchell who brought this program to its peak. Notable teachers have included Helen Hall, Ted McLearon, Morley Calvert, Archie Étienne, and Ewen Edwards. When the national CMEA conference was hosted by the QMEA in Montreal in 1961, teachers and musicians from across the country were able to see the results of the development of this fine music program in the schools of the Montreal Protestant Board. Opportunities for advanced study in music became available to young people in Quebec around the turn of the century with the establishment of scholarships and advanced music schools. Teacher training in music was also expanded. The number of Catholic normal schools grew and more specialized training became available such as that offered at the École normale de musique established in Montreal by the Sisters of the Congregation of Notre Dame in 1926. In 1907 the McGill Normal School was moved to Macdonald College in Ste-Anne-de-Bellevue, a Montreal suburb, and became the Macdonald Normal School. It was later moved back to the McGill campus as the Faculty of Education with the university; a school music department was also established in the Faculty of Music for both undergraduate and graduate study. During the 1960s the structure of education in the province began to change and the influence of the church decreased. A royal commission of enquiry (Parent Report, 1966) made important recommendations, eg, 'Besides a general music education which is the right of everyone, more advanced training for those children who want it must be offered in the regular school curriculum'. A subsequent enquiry into the teaching of the arts in Quebec (Rapport de la commission royale...1969) was to lead to a greater preoccupation with the teaching of the arts in general, and music in particular. George Little was placed in charge of this division at the Ministry of Education, with Lorraine Boutin as music consultant. The French-speaking music teachers in the province, under the leadership of Little, formed the professional association FAMEQ. Several secondary schools and many Cegeps established successful music programs. However, in spite of the resolutions made by the commissions of enquiry, music instruction in the province of Quebec, especially at the elementary level, has continued to be problematic. There have been successful programs in certain areas; the development of vocational public music schools has been an important innovation in the province. Organizations such as JMC (YMC) and Éducanima have contributed a great deal throughout the province. The teaching of string instruments has flourished in some areas, largely because of groups such as the Petits Violons and the Létourneau method. The methods of Orff, Corneloup, Martenot, and Kodàly have been introduced to teachers in the province, primarily through the efforts of Sister Marcelle Corneille at UQAM. Pierre and Margaret Tsé Perron produced a radio series 'Faisons de la musique' which introduced elements of the Kodály approach. In recent years the work of Raymond Ringuette at Laval has led to increased research activity in music education. In 1991 the English-speaking QMEA was dissolved, but FAMEQ continued as an active music education organization in the province. See also Conservatoire de musique du Québec. Vocal music was listed as a subject in the program of studies issued in 1846 by Egerton Ryerson, chief superintendent of education for Upper Canada. Ryerson declared that classroom teachers, rather than trained musicians, would be responsible for music in the common schools. Accordingly, he arranged for some music instruction to be available at the Toronto Normal School commencing in 1848. James Paton Clarke was one of several church musicians who worked there on a part-time basis before the appointment of Henry Francis Sefton in 1858. Sefton taught music using the Hullah method and held the normal school post until 1882; his Three-Part Songs (Toronto 1869) and A Manual of Vocal Music (Toronto 1871) were the first music textbooks written expressly for Ontario's schools. In 1850 Egerton Ryerson reported more than 5700 Canada West students in some sort of vocal music classes (or activities) out of a total elementary school population of over 150,000 (approximately 4 per cent). Despite Ryerson's plan to use classroom teachers for music, local musicians were often hired as special teachers in the large urban centres. It is no wonder, then, that school music flourished mainly in the cities. As early as 1853 Hamilton appointed a vocal-music teacher, and in 1862 London followed; Toronto hired two music teachers in 1871, and by 1872 Ottawa had also appointed a specialist teacher for music. Some of the pioneer teachers were particularly durable, serving for many years in one location and often assuming the role of supervisor: William Gleed Workman taught 1875-95 at the Ottawa Normal School and for some years was also a music supervisor in the public schools; James Johnson was supervisor in Hamilton 1877-1917; Alexander T. Cringan, Canada's foremost exponent of Tonic Sol-fa, laboured in various capacities in Toronto for some 44 years beginning in 1886. S.H. Preston succeeded Sefton at the Toronto Normal School in 1882. In 1887 he organized a summer school which featured Hosea Holt, a leading educator from the USA. At the conclusion of the course, it was recommended that Holt's method and textbook be sanctioned for Ontario schools. Subsequently, a controversy arose over the virtues of staff versus Tonic Sol-fa notation, and Preston and Cringan emerged as the main protagonists in an issue which attracted much public attention. Cringan published, among other works, The Canadian Music Course (Toronto 1888) and later became the music master at the Toronto Normal School. The provincial department of education did not give exclusive authorization to either of these methodologies but, as a result of Cringan's leadership, the Tonic Sol-fa movement was firmly established by the turn of the century. Until the 1920s, the emphasis in school music was on singing and the development of reading skills. Supervisors in the cities set the pace for school music during the inter-war years: H. Whorlow Bull (Windsor), Bruce Carey and G. Roy Fenwick (Hamilton), Harry Hill (Kitchener, Ottawa), P.George Marshall (Simcoe), Duncan McKenzie and Emily Tedd (Toronto), E.W.G. Quantz (London), James A. Smith (Ottawa), and Joseph L. Yule (Guelph). Among the normal school instructors who provided leadership were T.A. Cringan (Toronto), James Bottomley (Stratford), Charles Percy (London, Toronto), Harry Stares (Hamilton), W.B. Rothwell (Stratford), and T.A. Brown (Ottawa). The Music Section of the Ontario Educational Association provided a forum for music supervisors and normal school teachers. It was formed in 1919 and, in the ensuing years, discussed a wide range of issues: the development of school programs in instrumental music; the acceptance of music as a secondary school subject; the need for improvements in teacher training. But nothing preoccupied their deliberations more than the controversies related to elementary school methods. The song method established a foothold in Ontario in 1919, when Bruce Carey, supervisor of music in the Hamilton schools, introduced The Hollis Dann Music Course (American Book Co 1914) in the schools there. Both Carey and his successor, G. Roy Fenwick, studied with Dann in the USA, where they attended summer sessions for teachers. In the new methodology, songs were taught by rote with the eventual result that the skills of music reading received less time and attention. Harry Hill incorporated many aspects of the song method in his Singing Period (Waterloo 1933-8). Fenwick attempted to 'combine the thoroughness of the Tonic Sol-fa with the interest of the song approach' in The High Road of Song (Toronto 1943), a series which was destined to become the predominant one in Ontario for over 30 years. Music appreciation became increasingly important as technological advances in the phonograph and radio offered new opportunities to educators. By the 1940s many teachers had forsaken British Tonic Sol-fa methodology for the US song method which was gaining currency within the progressive eduation movement. The first provincial music supervisor, G. Roy Fenwick, was appointed in 1935. As director of the Music Branch of the Dept of Education, he advanced the cause of music through his textbooks, radio broadcasts, inspectoral visits, and promotion of competitions and festivals. Fenwick extended school music to the rural areas through a system of grants which encouraged school boards to appoint supervisors and itinerant music teachers. The Music Branch also played a vital role in the operation of summer schools in Toronto and London; in 1939, more than 1000 teachers were in attendance. Both inter-school competitions and non-competition festivals have been used to stimulate interest in school music. One of the oldest annual concert festivals, the Toronto May Festival Concerts (or Spring Festival Concert) celebrated its centennial in 1986 at its accustomed site: Massey Hall. Competition festivals were sponsored initially by school boards but were later administered by community groups or service clubs. The Toronto Kiwanis Music Festival, begun in 1943, became the largest in Canada and in 1991 had a registration of almost 30,000 students. The evolution of school music in Ontario has been closely linked to teacher training. By 1920 nine normal schools, each with its own music instructor, were training generalist teachers for elementary schools; those who aspired to supervisory work could get some advanced training in music at summer schools. In the postwar era, Vera Russell, Lansing MacDowell, Rhena McIlroy, Kay Bennett, and John Harrison were prominent among those who served in teachers' colleges. Elementary school programs became more comprehensive in the period following World War II. Radio broadcasts such as 'Music for Young Folk' enriched the regular instruction, and in-service projects were initiated to help classroom teachers cope with more sophisticated learning materials, many of which derived their inspiration from developments in the USA. The High Road of Song gave way to a new generation of Canadian textbooks - Songs for Today! (Waterloo 1959-70), Songtime (Toronto 1963-7), Basic Goals in Music (Toronto 1964-6), and Music for Young Canada (Toronto 1967-9). Still, some teachers were attracted to US methods and materials such as Threshold to Music by Mary Helen Richards. 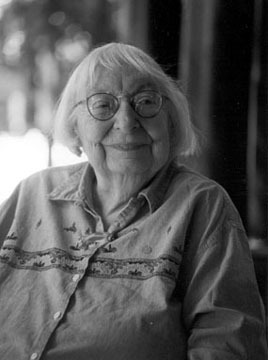 By the late 1960s, new European influences were also penetrating parts of Ontario: Arnold Walter, Doreen Hall, and Keith Bissell advocated the Orff approach; Lois Birkenshaw-Fleming incorporated Orff techniques in her work with exceptional children in Toronto; Richard Johnston and Harvey Perrin, among others, stimulated an interest in the Kodály method. A pilot project conducted in selected metropolitan Toronto schools led to a curriculum which was published as The New Approach to Music (Toronto 1969, 1972). Although it attempted to adapt the best features of these international methodologies, the New Approach did not receive the official sanction of the provincial government. In fact, it was difficult for the ministry to endorse specialized approaches such as Orff and Kodály because most schools still relied upon generalist teachers (supported by supervisors or consultants) to carry out the day-to-day music instruction. Supervisors in the large cities continued to play important roles in the postwar period, notably Cyril Hampshire and Glenn Mallory (Hamilton), Earle Terry and Don Clarke (London), Eldon Brethour, Harvey Perrin, Jack Dow, and James Maben (Toronto), John Sutherland, Arnold Earl and Barbara Clark (Ottawa), Emil First (Sudbury), Barry Gosse (Etobicoke), Keith Bissell, Frank Daley, and Donald Coakley (Scarborough), and Laughton Bird and Glen Wood (North York). The development of music in secondary schools gathered momentum in the 1930s. Under the aegis of the Music Section, teachers organized provincial orchestras and choirs which were featured at annual concerts in Massey Hall as part of the OEA Easter conventions. Members of these large ensembles were drawn from schools in which extra-curricular activites were becoming increasingly popular. But even more important than these promotional efforts was the adoption of a new provincial curriculum in 1937, for it stipulated that all students in grade nine should study either art or music. Commencing in 1938, students were allowed to select music as an option in grade tenor. Leslie Bell designed these new courses and, through his teaching at the Ontario College of Education, exerted a strong influence on music in secondary education. Don Wright also contributed immensely: as a teacher and supervisor in the London schools; as a summer school instructor; and as author of Youthful Voices (Toronto 1945). Over the years Wright became widely respected for his expertise in dealing with boys' changing voices. The TSO heightened interest in music appreciation through its secondary school series which was held 1941-57 in Massey Hall. But the most telling breakthrough came in 1943, when Fenwick was able to instigate a grade thirteen music course which the universities agreed to accept as an admission credit. Thus the establishment of a senior matriculation course gave new credence to the subject and paved the way for an expansion of music in grades eleven and twelve. By the late 1950s, outstanding choirs at the Listowel District Secondary School (conductor, Lorne Willits) and the Lawrence Park Collegiate Institute (conductor, Dawson Woodburn) were setting the pace for choral programs in the province. Instrumental music was offered in the elementary schools of Ottawa in 1919 but, like other early attempts, it was an extra-curricular operation. A curricular program for vocational high schools was initiated by the Music Branch in 1936; it enjoyed modest success but did not have a major impact beyond the realm of technical and commercial schools. It was after World War II that instrumental music came to the fore, especially in the collegiate institutes and academic programs of the regular secondary schools; 70 orchestras and 55 bands were reported in 1950. The impetus for this flowering, which continued into the 1960s, was attributable mainly to the return of service men and women who had experienced at first hand the importance of music in the war effort; it also gained momentum from a developing system of instrumental instruction in classes which seemed to diminish the need for the private studio lesson. The band program which W. Allen Fisher directed at Barrie Central Collegiate and the orchestral program which Jack Dow developed at North Toronto Collegiate achieved such high standards that they became the models for the entire province. Another major factor in the evolution of instrumental music was the first university degree program designed specifically for training high school music teachers. This program, initiated at the University of Toronto in 1946, has had a strong, enduring influence. Robert Rosevear laid the groundwork for instrumental methods at the University of Toronto and, through several generations of students, shaped the direction for future growth and development. Brian McCool was also a prominent figure in the expansion of instrumental music. He was appointed to the Music Branch in 1945 with specific responsibilities at the secondary level. He used the Ontario Dept of Education Concert Plan - a series of community concerts in outlying areas - as an effective means of persuading principals to make music more accessible in high schools. The combined thrust of the University of Toronto and the Music Branch contributed incalculably to the growth of secondary school music. Indeed, instrumental programs spread so rapidly in the 1950s that the University of Toronto could not keep pace with the spiralling demand for specialized teachers. Subsequently, the Ontario Dept of Education certified many ex-service bandsmen and semi-professionals through its summer school; the department also granted temporary certificates in order to accommodate boards which could not find qualified personnel. Relying on their own experience as players, the majority of bandsmen hired in this extraordinary way stressed brass and woodwind activities. Once the Music Branch realized that many new programs were not offering instruction in strings, it took steps to redress this imbalance: McCool brought George Bornoff to Toronto for intensive summer workshops in string pedagogy and, in 1962, the department appointed Leonard Dunelyk as an inspector and string consultant. Despite such efforts, a number of schools discontinued their existing string classes and by the 1970s Ontario was left with a preponderance of band programs. In 1949 instrumental music classes were initiated in a few Toronto elementary schools; instruction in small groups was given by itinerant teachers. Unlike the secondary program, instrumental music in the elementary division was considered an extra activity, outside the regular classroom work in vocal music. It was several years before the Toronto schools offered credit for instrumental work below grade nine; for many years, Don Wasilenko provided the leadership for the instrumental program at this level. There was a tendency in the 1970s toward moving the starting point for instrumental classes from grade nine to grade seven. The introduction of junior high schools in the metropolitan Toronto area (eg, North York) may have accelerated this general trend. Certainly, it was evident from the success of Shinichi Suzuki's Talent Education program that string players should begin at an early age. In recent years students have benefitted from special opportunities beyond their own schools. The Inter-Provincial Music Camp, the leadership program operated by the Ministry of Education, and music camps held in June by the Scarborough and Toronto boards of education serve as examples. The Ontario College of Education was responsible for training high school teachers in the 1920s. Its methods courses in vocal music were strengthened in response to provincial curriculum revisions in the late 1930s. Leslie Bell, Alastair Haig, Kenneth Bray, and Natalie Kuzmich were among those who held appointments at this institution. In 1965 Dawson Woodburn initiated a music program at the Althouse College of Education in London; in 1973 David C.M. Smith introduced music courses at McArthur College in Kingston. The need for specialist teachers has led to a proliferation of professional programs in Ontario's universities. By 1980 undergraduate music education programs were being offered by large music schools at the University of Toronto, University of Western Ontario and Queen's University and by smaller departments at McMaster University, the University of Windsor, Wilfrid Laurier University, and the University of Ottawa. Graduate work in music education was being offered at the University of Toronto and the University of Western Ontario. Most teachers' colleges and colleges of education were phased out in the 1970s and reorganized as faculties of education. The universities also assumed responsibility for ministry of education summer courses in the 1980s. In this transition (in which all teacher education was subsumed within the universities), general and specialist programs were combined in a way that blurred the traditional differences between elementary and secondary teacher training. The school music profession has, of necessity, diversified its activities after World War II. In 1949 the Music Section was reorganized as the OMEA, and secondary school teachers and university professors became more visible in leadership roles. The OMEA enlisted supervisors and specialists within its membership to conduct workshops for generalist teachers. In 1974 the OMEA broke its ties with the Ontario Educational Association and affiliated with the CMEA. The Ontario Music Conference held at Couchiching in 1966 was an important milestone in terms of assessing the infrastructure for music in the community. Despite the fact that its recommendations were not implemented, it stimulated a great deal of thought and raised serious concerns about the future of music education in Ontario. School music programs have been affected in various ways by changes in educational administration. While the semester plan was considered ideal for some subjects, it has created difficulties in the teaching and development of performance skills. In 1966 a decentralization of the provincial Dept of Education led to the dismantling of the Music Branch. Although the ministry retained its responsibility for publishing curriculum guidelines, the task of writing detailed courses of study has been left to teachers at the board level. The elimination of grade thirteen necessitated the creation of an Ontario Academic Course in music, one which would serve as a university admission subject. This course, which was outlined in the ministry's 1990 music guideline, will require major adjustments by teachers who, in the past, have concentrated solely on performance activities. School music in Winnipeg commenced with the appointment of Carrie Day as a music teacher in 1890. Four years later Mrs S. Thompson became supervisor of music and Laurence H.J. Minchin assumed this position in 1897. Although he remained in this post for only a few years, he did author The King Edward Music Readers (Toronto 1903-10), the first school songbooks to be used widely in the western provinces. Annie Pullar served 1905-37 as Winnipeg's music supervisor. It was said that she emphasized expressive singing and encouraged teachers to participate in the Manitoba (Winnipeg) Music Competition Festival. There was some musical activity in the Winnipeg High School in the 1890s, but the only program of instruction which had enjoyed any real continuity was that which existed in the elementary grades. Before the turn of the century, the Brandon School Board had engaged a Miss Davidson to teach music, and in 1904 appointed Alfred White as its music supervisor. In general, there was scant musical activity in the rural schools although inspectors encouraged the singing of patriotic songs in districts where students were mostly of European ancestry. There was remarkable progress in school music during the inter-war years. Commencing in 1919, Ethel Kinley pioneered the work in the Earl Grey Junior High School and taught 1925-37 in the Daniel McIntyre Collegiate. Kinley's choral groups excelled in the competition festival and she became renowned for her operetta productions. She served 1937-47 as supervisor of music for the Winnipeg School Board No. 1 but the scope of her influence was province-wide, through the development of curricula as well as her work in summer schools and in-service courses. Ethel Kinley was author of The Manitoba School Songbook (Toronto 1940); she also prepared materials for music appreciation and used radio broadcasts to improve the effectiveness of music education. Among several others involved in radio programs were Elizabeth Harris, Beth Douglas, and Muriel James. As inspector of Mennonite schools, H.H. Ewert encouraged the formation of school choirs. Mennonites thrived on choral festivals and other musical activities which were closely interwoven into their church and social life. Ben Horch had a fine school orchestra during the years when he taught for the Winkler School Board. Percy G. (Paddy) Padwick took the initiative in organizing instrumental music in Manitoba's schools. He founded the Winnipeg Junior Symphony Orchestra in 1929 and formed several other large ensembles which were the predecessors of the Maniitoba Schools' Orchestra (renamed the Greater Winnipeg Schools' Orchestra in 1962). Padwick taught instrumentalists across the province through Saturday morning rehearsals over radio station CKY. By 1938 he had built an ensemble of 400 players. George Bornoff was also active in promoting instrumental music. In 1938 the Bornoff School of Music and Associated Arts established a day school which enabled students to combine their general education with specialized training in music. Winnipeg's music supervisors maintained a level of quality that was exemplary for others in the province. Succeeding Ethel Kinley were Marjorie Horner, Lola MacQuarrie, Beth Douglas, Glen Pierce, and Glen Harrison. For many years the Manitoba Musical Competition Festival was the driving force behind music programs in the schools. British adjudicators consistently praised the high calibre of Winnipeg's choral groups, most notably choirs from Daniel McIntyre (under Ethel Kinley, Lola MacQuarrie, and Glen Pierce) and Kelvin High (under Gladys Anderson Brown, Herbert Belyea, and John Standing). Other reputable conductors included Beth Douglas and Beth Cruikshank. A program of instrumental music was offered in individual schools in 1946. Instruction in small classes, mostly violin, was given outside regular school hours as an option for elementary students. It was not until the 1960s that band programs flourished, pioneered by Art Buss and Fred Merrett. After 1976 the annual band festivals sponsored by the Optimist Club of Assiniboia (and supported to a great extent by the St John Music Company) have added impetus to the development of concert and stage bands. A number of people have contributed to school music through their work in teacher training: Filmer Hubble, Beth Douglas, Herbert Belyea, Colin Walley, Jake Redekopp, and Lawrence Patterson. Among others who have influenced recent developments are Alan Janzen of the provincial ministry of education, Lorne Watson and Edna Knock of Brandon University, and Paul Paterson of the University of Manitoba. Education in Newfoundland was greatly influenced by religious organizations, even more than in other provinces due to the fact that schools have been denominational. The major influences in music as well as in general education have been English and Irish in origin. The Presentation Sisters of Ireland, the Sisters of Mercy, and the Irish Christian Brothers each played an important role in music education. Most programs were vocal and Tonic Sol-fa was taught by many of the teachers who came to Newfoundland. Institutions for the secondary level, the so-called colleges - St Bonaventure's, Church of England Academy, Wesleyan Academy - in St John's, acted as both day schools and boarding schools for out-of-town students. The differences between private and school teaching were not so clear in Newfoundland as in other provinces because the two types of music instruction already co-existed at denominational institutions. Instrumental groups were developed in several of the schools; the Roman Catholic schools had a long tradition of orchestras, and the Salvation Army concentrated on bands. Later, both during and after World War II, the influence of the service bands stationed at US air force bases in Newfoundland was significant. Charles Hutton, who taught at St Bonaventure's College and various other institutions, was the most prominent teacher in the early 20th century. He taught both vocal and instrumental music and was the first music instructor at the non-denominational normal school established by the Newfoundland Dept of Education in 1921. This leadership role in music was assumed midway through the century by one of Hutton's distinguished students, Ignatius Rumboldt. He continued as music teacher in various schools operated by the Irish Christian Brothers, but he also accepted a part-time appointment to Memorial U in 1952. He subsequently was given a full-time appointment in the university's Extension Services. The competition music festival movement has been very strong in Newfoundland. Although the first was not held until 1952 in St John's, the movement soon developed in Grand Falls and Corner Brook as well. The number of competitors in the St John's Festival grew from 1400 in 1952 to more than 12,000 in 1974; and in 1991 the movement continued to be strongly supported by both private and school music teachers. The appointment of Sister Paschal Carroll as music consultant in 1970 for the Newfoundland Dept of Education marked a commitment to the role of music in education in the province. Sister Carroll was later succeeded by Carol E. Harris who provided leadership in the development of a Kodály-based curriculum which has aimed to incorporate elements of Newfoundland's strong folk song heritage. A strong choral tradition continues in Newfoundland but there are also many fine instrumental programs. The growth of music instruction at Memorial U in the faculty of education and the establishment of a Music Dept within the university under the leadership of Donald Cook greatly influenced the development of music in the schools. The private teacher remains a very important factor in providing musical opportunities for young people in Newfoundland. In addition, numerous other opportunities are now available for young people in the province, including provincial workshops and summer music camps. All four Atlantic provinces have active provincial music educators' associations which have greatly increased in membership, particularly those in Nova Scotia and Newfoundland. Other organizations, notably the provincial choral federations, have sponsored activities for school music ensembles, eg, youth choir week-ends and provincial honours groups. Several performing groups, such as the Hillsborough Girls Choir under the direction of Ruth Schiller, and Les Jeunes Chanteurs d'Acadie directed by Sister Lorette Gallant, have participated in international conferences and festivals. The Maritime chapter of the CBDA has sponsored provincial youth bands for instrumental students. There has been a strong commitment throughout much of the Atlantic region to the employment of specialists for all levels of music instruction. See also Charlottetown; Halifax; Moncton; Saint John; St John's. Music was listed as a subject on the 1895 curriculum for schools in the Northwest Territories. In 1906 Miss Lemon was designated as a special music teacher in Moose Jaw, and in the following year Miss Jessie Grier became the supervisor of art and music in Regina; Miss Helgeson, the first music supervisor in the Saskatoon schools, was appointed in 1913. Inspectors' reports indicate that there was hardly any systematic instruction in the rural schools. The approved textbook was The King Edward Music Readers until 1919, when it was replaced by a Canadian edition of The New Normal Music Course (Toronto 1913) by John Tufts and Hosea Holt. Progress in school music was impeded by the lack of competent teachers and the inadequate time allotment for music training in the normal schools. Several British-trained musicians served as part-time instructors at the normal schools: Madame Helen Davis Sherry taught 1917-44 in Saskatoon; Richard.T. Bevan was on the staff 1930-42 at Moose Jaw. Arthur Collingwood contributed to school music during his tenure (1930-47) as head of music at the University of Saskatchewan. The competition festival became the principal gauge of success in school music. In their annual reports, inspectors singled out those schools whose choirs won awards or trophies. In 1935 Cyril Hampshire, succeeded William McCann as Regina's school music supervisor. Hampshire was renowned for his choral work and used a weekly radio program to teach music appreciation. Lyell Gustin, an outstanding private piano teacher, presented music appreciation sessions for school children in Saskatoon, featuring live concerts by his students and colleagues. Rj Staples became a legendary figure in school music following World War II. As a full-time provincial director of music 1949-69, he extended music into the rural areas through an array of initiatives: summer courses for teachers; revised curricula; non-competitive 'music meets'; school broadcasts; and events such as the celebration of Saskatchewan's Golden Jubilee. Orchestral training grew out of extra-curricular ensembles in the high schools, but community band programs sponsored by the Lions' service clubs minimized the public's demand for similar instruction in the schools. Lloyd Blackman organized the first provincial school orchestra in 1965 and Herbert A. Jeffrey, a former service bandsman, was hired in 1957 as a provincial band consultant. Summer camps, instrumental workshops, festival competitions, and provincial grants aided the expansion of instrumental music throughout the province. Initially, it was necessary to recruit military bandsmen from Great Britain or music teachers from the USA, but the development of specialized programs in the universities eventually helped to solve the shortage of qualified teachers. As faculty members at the University of Saskatchewan, David Kaplan, Robert Solem, Isabelle Mills, and Dwaine Nelson were actively involved in school music. Among others who have played important roles in the postwar period are Lloyd Blackman, Don Cowan, Marlene Taylor, and William Duignan in Regina and Don Forbes and Verla Forsyth in Saskatoon. Ada Dowling Costigan and Annie Glen Broder were among the early music teachers in Calgary. But it was only after a public debate that the school board agreed to offer music in the schools; in 1892, Frank B. Fenwick was appointed as a part-time singing teacher. Unfortunately, music instruction was discontinued during World War I. J.E. Hodgson served 1918-22 as supervisor of music. Frederic Rogers 1922-6, and Capt H.S. Hinton 1926-50. Many of these early teachers and supervisors were British-trained, so it is not surprising that Tonic Sol-fa was the predominant methodology. School principals in Edmonton resisted the teaching of music because they felt it would take time away from the other subjects. Nonetheless, the efforts of Superintendent James McCaig led to the introduction of music instruction in 1895; Kate Chegwin, John Barnett, and E. Butterworth pioneered the work in Edmonton. A period of progress took place following the appointment of Norman J. Eagleson, who served 1912-49 as supervisor of music in Edmonton's schools. He organized in-service training for classroom teachers using Tonic Sol-fa syllables with staff notation and, in the 1930s, compiled several instructional books for sight reading. Father Leo Green supervised music 1933-68 in Edmonton's separate schools, and Isabella Kennedy served 1947-67 in a similar role for the separate schools in Calgary. The Alberta Musical Competition Festival was founded in 1908 in Edmonton. This provincial competition served the needs of the entire musical community, and had a direct impact on music education once school groups (mostly from Calgary, Edmonton, and Lethbridge) began to participate in 1911. As in the other western provinces, music instruction in the city schools was generally better than that which existed in the rural areas. Indeed, without a local school festival movement, initiated in Claresholm in 1917, music would have been completely neglected in most rural schools. The University of Alberta was a focal point for the philosophy and practice of progressive education in Canada. Its direct influence in the province was evident in several educational reforms: junior high schools were introduced in the 1920s and school curricula in the 1930s were revised to facilitate the integration of subject content. Janet McIlvena McLeod presented a series of radio programs for schools commencing in 1938. Cornelia Higgin of Calgary and Maude Garnett of Oswego, NY, introduced a US textbook in the 1939 summer session for teachers. They advocated the song method which embraced a rote approach and a higher priority on appreciation. This was a striking departure from the Tonic Sol-fa methods used in Calgary and Edmonton, where Hinton and Eagleson maintained an emphasis on rudiments and reading skills. By the end of World War II, British traditions gave way to a more sophisticated curriculum emerging from the progressive education movement in the United States. The most ambitious enterprise in instrumental music occurred in Edmonton where T. Vernon Newlove formed a city-wide Edmonton Schoolboys' Band in 1935. It began as an extra-curricular activity but school credit was granted in the 1950s. Keith Bissell organized the Edmonton Youth Orchestra in 1952. But it was not until the 1960s that instrumental ensembles were developed in individual schools. Alan Rumbelow (supervisor, 1955-72) and Ronald Stephens (assistant supervisor) provided leadership for vocal and instrumental music in junior and senior high schools. In 1968, Paul Bourret became the music supervisor for the separate schools of Edmonton, where he has expanded programs and improved the quality of instruction. Elizabeth Filipkowski (University of Alberta) and, more recently, Lois Choksy (University of Calgary) have been prominent leaders in elementary school music; Alan Arthur Smith and Ron Stephens (University of Alberta) have been associated with secondary school methods. Lloyd Erickson sparked the development of instrumental music in Calgary through his work at Crescent Heights High School. During Cyril Mossop's term (1951-72) as supervisor in the Calgary schools, instrumental music was extended to most junior and senior high schools; instruction was offered in both strings and winds. The formation of an all-city junior orchestra in 1957 helped to generate a growing interest in instrumental music. Lloyd Erickson succeeded Mossop as supervisor of music in 1972. Cynthia Downe, Joan Wilson, and Noreen Inkster have played vital roles in supervising music in the elementary schools and in developing curricula and instructional materials. Marilyn Perkins earned an enviable reputation for her choral work in secondary schools. Textbooks in French have been produced by Alberta Education, namely L'Éducation musicale à l'élémentaire (1987) under the supervision of Thérèse Potvin. Like most western provinces, Alberta has never appointed a provincial director of music. While each of the ministries of education and culture have hired consultants or resource people, this arrangement has resulted in an overlapping of services rather than an overall coordinated system. Furthermore, since the demise of the AMEA in 1969 there has been further fragmentation with respect to professional activities. The achievements that have been realized are indeed a testament to the stalwart efforts of the teachers themselves. Before a public school system was established in Victoria, several Anglican clergymen and their wives - Rev Robert Staines and Rev Edward Cridge among them - included some form of musical activity in their private or church schools. The Sisters of Ste-Anne made music a feature in some of their academies. As early as 1865 there were references to the Tonic Sol-fa system in singing classes organized by David (teacher) Spencer in Victoria. But John Jessop, the provincial superintendent of education, was possibly the first champion of school music, very much in the tradition of Egerton Ryerson, for whom he held a great admiration. Jessop had attended Ryerson's provincial normal school in Ontario so it is not surprising that he designated music as a compulsory subject and attempted to establish it in the high school curriculum as part of a basic training for future teachers. Harry James Pollard was a music teacher and supervisor in the Victoria schools 1907-27. He used Tonic Sol-fa pedagogy including the modulator and hand signs. Fred Waddington was supervisor 1927-31, but following his departure classroom teachers were without supervision in music until 1936 when Stanley Bulley assumed this responsibility; his term did not last throughout the period of the war. Harry Bigsby served 1946-77 in this post, and among other initiatives made a concerted effort to increase the number of string players in the instrumental program. Victoria High School has had a long tradition in music: in 1914 E. Howard Russell formed an orchestra, which was revitalized in 1926 by Ira Dilworth. Alfred Prescott gave direction in the 1930s and, in the postwar years, Dorothy Hopgood Evans developed a fine orchestral program. Vocal teachers included T. Jennings Burnett in the 1920s and Frank Tupman in the 1930s. For many years Howard Denike provided band instruction at S.J. Willis Junior High School. George Hicks was appointed supervisor of music for the Vancouver schools in 1904. He initiated in-service training for classroom teachers and carried a heavy schedule of music classes in the night school operation. He was tireless in his efforts to get approval for instrumental instruction in the high school. This supervisory position was held 1920-8 by Frederick William Dyke, 1928-31 by Charles E. Findlater, and 1931-7 by Fred Waddington. The Putman-Weir provincial survey of education (1925) planted the seeds of progressive education in British Columbia. Subsequently, summer schools in Victoria attempted to provide specialized training for teachers. But despite the recommendations of Putman and Weir, school musicians continued to emphasize singing and reading skills (rather than music appreciation) and looked to the annual music competition to motivate their students. During Burton Kurth's term (1937-55) as Vancouver's music supervisor, several high schools developed large choirs and orchestras and some featured Gilbert & Sullivan operetta productions. Mildred McManus, Ifor Roberts, Sherwood Robson, and Alfred Hewson were prominent music educators in the 1940s. Vancouver's music supervisors in the postwar years were Ifor Roberts (1955-63), Fred Turner (1963-71), and Dennis Tupman (1971-), whose responsibilities were extended to include all the performing arts. The Sir Ernest MacMillan Fine Arts Club founded by Marjorie Agnew in 1937 at Templeton Junior High School was a most impressive innovation; this movement spread quickly to schools throughout the province (and beyond) and lasted for 40 years. Ira Dilworth contributed inestimably to the growth of school music, not only as a school principal and educator, but later in his administrative role with the CBC. It is difficult to generalize about the extent and quality of school music beyond the large urban areas. Even so, good results were attained by dedicated teachers such as Celeste Page in Penticton or Mabel Willcox in Vernon; by 1925 John Percival Humphreys had developed an orchestra in Chilliwack. Archie McMurdo developed a community orchestra in Kamloops which after the World War II was integrated into the schools; by the 1940s Rex Potter had built a full band and orchestral program in Trail. Instrumental music enrolment escalated dramatically in the postwar years. The formation of the British Columbia Instrumental School Teachers' Association in 1954 gave new impetus to the isolated successes of individual teachers. When the recommendations of the Chant Commission (1960) put secondary school music at risk, teachers united under the banner of the BCMEA to defend their programs. Lloyd Slind played an essential role by providing leadership in a province which was reluctant to appoint a director of music. Music instructors in teacher training institutions have, in general, enjoyed high profiles in shaping the future of school music. Ethel Coney served 1913-37 at the Vancouver Normal School and taught at the summer school in Victoria; she was succeeded by Mildred McManus. Ida Morris was the first music instructor at the Victoria Normal School; others included Miss G.G. Riddell, F.T.C. Wickett, and Boyce Gaddes. Don Gibbard, Lloyd Slind, Campbell Trowsdale, Frank Gamble, Allen Clingman, Mark Rose, and Sandra Davies - all members of the University of British Columbia's Faculty of Education - have contributed in their own individual ways. At the University of Victoria, Margery Vaughan, Ian Bradley, Frank Churchley, and Dale McIntosh have had a strong influence on music education at both the provincial and national levels. In many ways educators in British Columbia have responded more readily to changes in society than have their counterparts in other provinces. Music teachers have been in the forefront of innovations such as fine arts curricula, folk music, and jazz education. In 1989 the University of Victoria convened a symposium to explore the implications of proposed future initiatives by the British Columbia Ministry of Education. The proceedings of the symposium, published under the title Re-Thinking Music Education in British Columbia (Victoria 1989), reveal the aspirations of leading educators and the nature of their concerns in the context of a contemporary society. See bibliographic notes in Music Education in Canada: A Historical Account (Toronto 1991) for further references to school music in: educational periodicals, annual reports of the provincial departments of education, reports of municipal and regional school divisions, school board minutes, minutes of local, provincial, and national music and educational associations, newspapers, and archival materials.